Invest in unit trusts or ETFs? One of the greatest frustrations I have as a personal finance writer is how many unnecessary investment options there are for individuals. Do you know that there are more than 1 200 unit trusts? This is three times the number of companies listed on the JSE! Many are “me too” funds, which mostly duplicate each other, and others are so specialised they are only for sophisticated investors who want to build up a very specific portfolio. Yet all that choice just makes it more confusing for the ordinary investor with R500 to R2 000 a month to invest. Then we come to exchanged-traded funds (ETFs), which, in theory, should simplify the selection process because these funds simply track an index. They give you diversified exposure to the market without worrying about the relative performance, and costs, of an active asset manager. Yet we now have about 76 ETFs, many of which track the same index, and investors are spending way too much time deliberating over which fund to invest in rather than just starting to invest. I will share a case in point about my personal investments. When my son was about two, I opened a Satrix Top 40 investment for him. At that time, Satrix was the only exchange-traded player in the market and the investment meant that he got the average return of the 40 largest shares in South Africa. I started the investment with R200 a month and increased it to R300 at some point. After 10 years, by the time he was 12, it was worth nearly R100 000. It is possible that, in hindsight, some other investment may have outperformed mine in that time period, but if I had spent time deliberating what to invest in, worrying that I may be missing the “next big thing”, I would have missed the incredible power of compounding interest. Returns are easy to see in hindsight, but impossible to predict. There are only two things you can predict – how much you are going to contribute and how much you are going to pay for the investment. That is why costs are a big part of the investment decision and why many people are starting to opt for ETFs, which provide cost-effective investment options. For the sake of simplicity, I have just focused on ETFs. I spoke to Mike Brown, who heads etfSA, the widest ETF investment platform, about his views on what one should consider when selecting an ETF. Brown says that the competition in the ETF space has driven prices down and for most vanilla ETFs that track common indices, the costs are competitive and not a major factor. There are other considerations such as liquidity, which may drive up trading costs, but Brown says those are more a concern for larger institutional investors. His opinion is to stick with the major ETF providers that focus on retail investors like Satrix, CoreShares and Absa. As they have good liquidity, they do not have a wide bid and spread offer (in other words, there are enough buyers and sellers not to create a spread in price). They have reasonable costs and are more retail focused, so they tend to have lower minimum investment requirements. They have a wide range of options, including offshore, that they invest in via feeder funds into large global ETF players like Vanguard and iShares. The next thing you need to decide is what you want to invest in. For the sake of this article, we are assuming a longer-term investment of five years or more. Typically, people invest in ETFs for their longer-term investments or as part of their tax-free savings allocation. You need to decide if you want to only have exposure to the South African market or if you want to include global exposure. The majority of ETFs track equity indices, so you can have exposure to shares listed on the JSE or globally to indices like the S&P 500 or the MSCI World Index. Brown recommends that if you have R500 a month to invest, you split between South African exposure through a Top 40 or CoreShares’ Top 50 and then select an EFT that tracks an offshore index like the S&P 500 or Satrix MSCI World. If you have R1 000 or more to invest, you could select a portfolio of ETFs that is managed on your behalf or split across four different ETFs to give asset diversification. This could include a South African index, an offshore index, listed property and a bond index. EtfSA offers managed portfolios from R1 000 a month. CoreShares PropTrax Ten ETF (10 largest listed property companies). 20% CoreShares Dividend Aristocrats (30 companies that have increased or are maintaining stable dividends for seven consecutive years). 20% CoreShares Global Div Aristocrats (S&P Global index tracks international, dividend-paying companies). 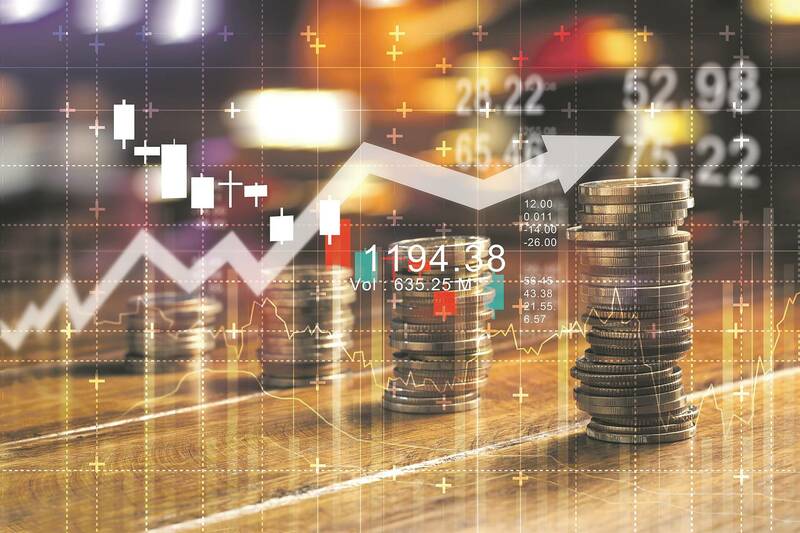 Both of these investments make it far easier to invest on the JSE because they give an investor exposure to a wide range of shares for as little as R300 a month – or even less. A unit trust is an investment product offered by a fund manager. They pool the money of many investors into an investment portfolio. In most cases, this portfolio is actively managed by a fund manager who selects the underlying investments based on their research. Depending on the mandate or the aim of the fund, the fund manager can invest in a wide range of asset classes – meaning they can buy shares locally and internationally, invest in bonds, cash and listed property. An exchange-traded fund or ETF also gives the investor exposure to a basket of shares, except that an ETF is itself a listed security. What that means is that you can buy an ETF through a stock broker and, by buying just one ETF, you have exposure to many underlying shares. This is because an ETF tracks an index made up of a basket of shares. For example, if you bought an ETF that tracked the JSE Top 40 Index, you would have exposure to the 40 largest shares on the JSE. Because an ETF only tracks an index, there is no active manager selecting which share to invest in and you get the average return of the market less costs. Therefore, the fees of an ETF are generally lower, but it can only track a single index. So, unlike a unit trust that could have a mandate to invest across multiple asset classes, a single ETF would only invest in a single asset class, be it local or international shares or listed property. ETFs can be bought through any stock broker or through the provider’s platform. For example, SatrixNow and CoreShares offer an easy-to-use, low-cost platform for their range of ETFs starting at R250 a month. You can also select to purchase them as part of your tax-free savings account. They have a wide range of funds, so if you wanted to purchase more than one ETF, you could have a well-diversified ETF portfolio on their platforms. Both offer good value. CoreShares charges only 0.1% for brokerage (when you buy and sell your ETF) and a 0.3% annual platform fee. SatrixNow charges a brokerage of 0.25% and 0.1% for recurring investments (0.35% in total for each deposit), but no platform fee. Stock broker EasyEquities offers a cost-effective platform (this is the same one used by SatrixNow), but allows you to purchase across a range of ETFs. They also offer bundled options where you purchase a managed portfolio of ETFs, however, you pay an additional 1% a year management fee. EtfSA offers access to the full range of ETFs with a platform fee of 0.5%. You can purchase their managed portfolios for an additional 0.5% a year. The strategy: Depending on how much you are investing each month, stick to two to four ETFs. To keep costs low, you can create your own portfolio of ETFs rather than pay an additional management fee. Just focus on asset diversification rather than buying the same type of fund. There is no point in buying two or three ETFs that all track South African equities. Have exposure to South African equities, offshore equities, some property and some bonds. Alternatively, you can opt for a tracker balanced unit trust fund. Not to add to the confusion, but some unit trusts are not actively managed and also track an index. The fact that they are unit trusts and not ETFs allows the manager to blend various indices together to create a single fund. For example, Satrix has the Balanced Unit Trust fund for less than 1% a year and it can be purchased on the SatrixNow platform. It invests in local and offshore equities, bonds and property. Has the GEPF changed the rules regarding pension debt on divorce?